With influencer marketing on the rise, Facebook Influencer marketing is becoming extremely popular with brands as the organic reach on the platform is declining day by day with Facebook’s recent news feed changes. The definition of influencer marketing is simple and straightforward and is defined as a form of marketing that focuses on isolating influential people in the social media and leveraging on them so as to take a business to a set of audience in a particular niche. These influencing people could be anyone starting from media personnel, to film actors and actress, enthusiasts and even politicians. Depending on the audience size of these influencers, they are generally categorized into three segments of people, namely. Micro influencers who have thousands of followers. One of the most valuable assets of influencer marketing is the trust and loyalty that these people have established among their audience base. People who generally do not trust brands based on its marketing and advertising would also seem to trust the brand when it is posted on the pages of influencers whom they personally trust. Advertising through influencers promotes authenticity as it creates personalized content and owns a natural ability to attract people’s trust. They are capable of generating quality leads for the business, as they speak to prospects through personalized content that drives conversation and elaborate discussions. Influencer marketing is known to enhance the Return on Investment of a business. Statistics show that higher the conversations earned for business through its influencers, higher is its social media ROI, which sometimes could boost up to 10 times. They help in improving the search engine rankings of a business. Taking into account how the competitors would measure their results on these campaigns is also beneficial, so as to have a better idea on prompt metrics to be considered while advertising. After setting up a clear goal and leveraging on what metrics to measure the performance of the influencer marketing program, the next step is to look for ideal influencers. Consider the area of specialty of the ambassador so that the promotional content thus created would not deviate from their usual ideas. Measure the reach of the influencer, if he is a top tier influencer or not and if he would help in promoting brand awareness and user engagement. Decide on the type of voice the influencer should have, should they sound professional and serious or should they be friendly and casual with their prospects? Influencers who sound friendly and who have a good sense of humor would always have a good impact on the target audience. Leverage on the level of engagement of the influencer and their capacity to drive more engagement to ensure the reach of the brand. There are a number of tools available to search for the influencer in social media; these tools would help the marketer to filter influencers based on their followers, location, authority etc. After deciding on the influencer, the next point of consideration is deciding on the ways to collaborate with them so that the campaign runs smoothly for both of them. The first point to negotiate is the time duration of the campaign. The next point is to agree on the quantity and the quality of content that is been produced. Discussing the type of content that is expected of them will help in the smooth running of the social media campaign. Ideas on promoting content in the form of stories, or through videos are to be discussed as well. Another important aspect is discussing on content usage and violation rights. If the content of the influencer is to be repurposed into testimonials or ads on social media, then request for content usage rights which are to be obtained from the influencer. Compensation for the work influencer performs is to be discussed on what basis it will be done and at what cost. Monetary payments are a boost for influencers as well and are to be framed based on the regulations imposed by FTC. The idea of influencer marketing and branding content tags through social media has been in business since 2016. This allows influential people on social media to clearly tag their posts that they have been in partnership with a brand. Facebook pages and groups have allowed brands to create groups that are linked with their business pages. They also ensure that both the brands and the influencers are in compliance with the guidance of FTC for sponsored content. The idea behind this concept is that these Facebook groups would offer the brands that have partnered with it to engage with their community naturally. These brands also pay the influencers for enhancing their reach among its audience. When brands target a specific audience, they would start viewing a post that is originating from their influencer and not from that particular brand. How influencer marketing is mediated on Facebook? 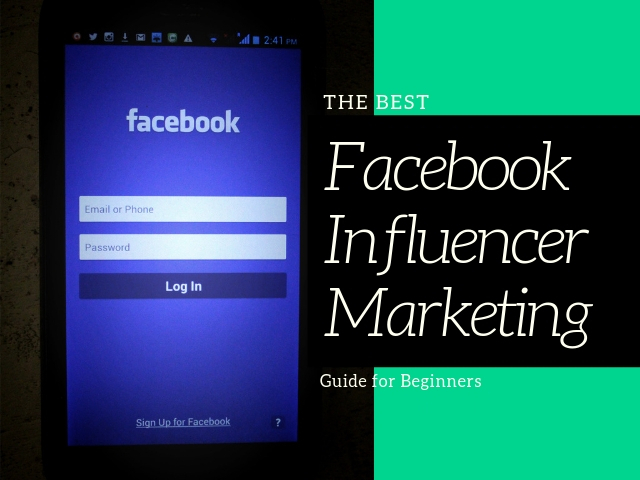 The process of influencer marketing on Facebook starts with a reputed brand or a startup identifying a famous Facebook member as its influencing person. The influencer should have a medium to large and highly engaging follower base and his follower base should collide with the target audience of the brand. The brand has to reach to this influential Facebook account holder to check if they would be interested to post on behalf of the brand on its products. When the brand sends a promotional message to the followers of this influencer, then it is targeting its prospects that could get converted into leads. These influencers are to be compensated on a monetary basis or on an exchange of free products from the brand. The compensation is usually discussed after the collaboration is confirmed. After the collaboration is confirmed, the influencer would start creating a specified number of Facebook posts about the products of the brand. They would associate themselves with the message where it is in the picture or video form. The audience would become more interested in the product as it is coming from the person they follow and not from the direct brand. People also trust the recommendations made by an influencer rather than the one made by the brand. People consider these recommendations more personal as though made by a close friend or a family member. There are two options to find good influencers on Facebook. Use tools that would search the entire platform and isolate accounts with the maximum fan base. Manual search approach involves identifying from a vast pool of responders who have already engaged with the brand either by commenting on it or by sharing it. After narrowing on a few responders, their activity on social media and the volume of their follower base has to be ascertained. If their collaboration would be beneficial then they could be reached out directly and asked about the venture. This is a plugin for Chrome browser and helps the user with networking; it helps brands to view the email recipients, Facebook connections, social account and updates of its influencers. It is possible to relate if any of the existing contacts for a brand has connections with influencers in its niche. These contacts may be useful to introduce a brand to the influencer. This tool is used to find out which posts are very popular and are shared frequently. Reports could be run on this tool by domains and the most successful content could be isolated along with its share metrics. It offers details on top content, top authors and their shares, identifying potential influencers. This tool helps to segregate blog posts as sales pages and forums and is been curated by humans who search for top blog posts every day in a particular niche. This tool could thus be beneficial in finding out an influencer. This tool is useful to find email addresses to target. Its free plan could offer up to 100 searches a month. When a domain name is fed into the search engine, it will find the best email addresses that are attached to that domain. This tool is useful to find out the demographics pertaining to individual bloggers. It offers reports about a particular app or website and its free version renders 5 results per metric. This tool shows what is popular on social media. It shows the content that is been shared the most in the social media, paving the way to identify influencers who posted such contents. After identifying the potential influencers on Facebook, the next step is to define the goals of the campaign to them in a way they will understand and accept. The Goals are to be specified clearly such as getting at least 20k impressions a month on the influencer’s post. The goals could also be set on other metrics such as the number of likes, comments, and shares, a quantum of website traffic attracted, the number of sales conversions that occurred etc. The brands have to come in close collaboration with their influencers so as to tailor design a campaign for the success of their brand. The content that the influencer posts should reflect the goals of the business. The following ideas can be considered in helping influencers post the type of content that could enhance the brand’s productivity. More than 55% of internet users spend hours on spending videos on Facebook or YouTube. Influencers could make use of Facebook videos to grab the attention of their followers and enhance conversion. This tool offers influencers a chance to create video content that feels current and authentic. Influencers could use the tool to broadcast a video on the brand or attend a live event, that is been sponsored by the company. This helps in enhancing social media engagement and attracts Facebook users to the website. Influencers could post photos on a product that could be given as free gifts if they participate in a contest, with a link that directs users to the website of the brand. Majority of the social media influencers are active on more than one social media platform and would agree to run sales campaigns on different channels. This would help the brands to reach their relevant audience across different domains. Influencer marketing has proven to be effective for the business of at least 95% of marketers. 54% of marketers have attracted high-quality customers with the help of these influencer marketing campaigns. About 30% of marketers claim that influencer marketing is more effective than traditional marketing and is also a cost-effective measure to attract niche based customers. And, more than 31% of consumers are buying a product after seeing it on their influencer’s posts. Multivariate Testing: What is it? When You Should Use it?